Our neighbors to the north (Canada) are quickly outpacing us with regards to drone regulations and usage by first responders. While our firefighters are trying to hose quadcopter down, their first responders are taking advantage of drones and the benefits they can provide. The York Regional Police are using their drones to collect crash scene photographs, help in search and rescue missions and even complete security sweeps of large outdoor events. In all three cases, drones prove their worth by saving valuable time. York Regional Police say the 2.4-kilogram drone is able to create electronic maps of crash scenes in mere minutes. The process normally takes investigators between eight and 10 hours in the case of a serious collision. The drone can take hundreds of photos from the air in five to 10 minutes, then digitally render the entire scene into an electronic map. “With the assistance of the UAV to capture high-resolution aerial images of a collision scene, it is anticipated that when deployed, road-closure time will be reduced significantly,” police said in a news release Friday. 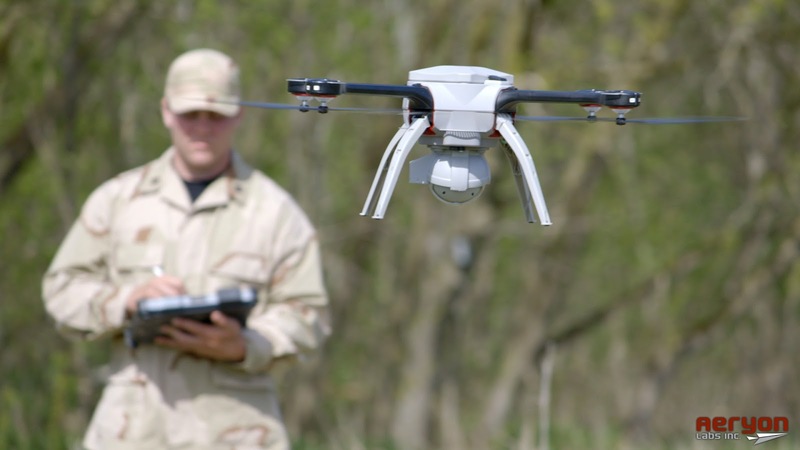 The Canadian-made Aeryon SkyRanger drone was designed to meet military and government specifications, and can fly for 50 minutes at a time. It is controlled by a tablet computer from the ground. Can withstand temperatures as low as -27.4 F, or as high as 122 F.
With numerous applications, commercial, public safety and military, the SkyRanger isn’t just tough, it’s also flexible. Maybe our local law enforcement will take a page from the York Regional Police playbook instead of treating drone pilots like criminals. 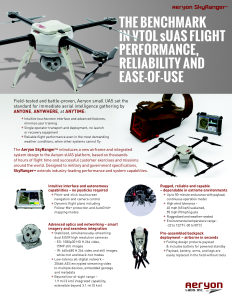 If you’d like to learn more about the SkyRanger, then checkout their PDF brochure. If you still aren’t convinced that drones can and will play a major part in our lives, then I encourage you to checkout the Case Study collection at Aeryon Labs Inc.
Aeryon Labs is the small Unmanned Aerial System (sUAS) provider at the center of major world events and international media stories. A recognized technology and industry leader, Aeryon Labs is the trusted partner of civil and military customers, resellers, and other commercial business partners around the globe. Founded in 2007, Aeryon Labs is a Canadian Controlled Private Company with headquarters in Waterloo, Ontario, Canada. 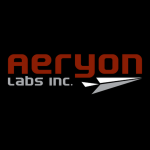 The Aeryon team has a broad range of experience in fields including: computer and electrical engineering, video processing, digital video compression, telecommunications, mechanical and mechatronic system design and software development – as well as knowledge and expertise in robotics and image compression.